HPD Commissioner Been, others testify on effectiveness of the program. On January 29, 2015 the City Council Committee on Housing and Buildings held an oversight hearing on the 421-a tax benefit program. The program, established in 1971 by the New York State Legislature, was designed to spur residential development of underused land by granting a property tax reduction to developers for a period of ten to twenty-five years, with an objective of increasing affordable housing access for low-income residents. The program was most recently renewed by the Legislature in 2011, with a pending expiration date of June 15, 2015, and a cost of $1.1 billion in foregone tax revenue in fiscal year 2013. 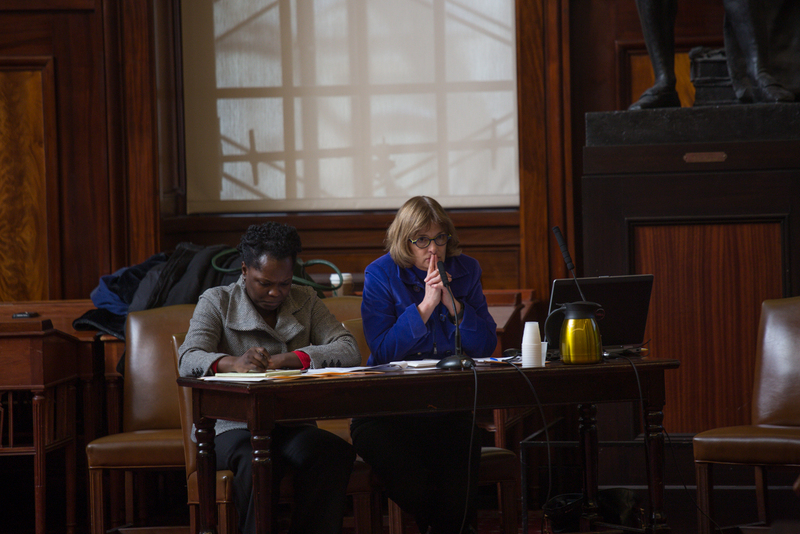 Housing Preservation and Development Commissioner Vicki Been testified that at its inception, 421-a was not designed as an affordable housing program. “It imposed no requirements for affordability, nor did it take into account the amount of incentives necessary to entice developers to build new housing may vary from borough to borough, or neighborhood by neighborhood.” Commissioner Been testified that affordability concerns didn’t enter 421-a until 1984, establishing geographic exclusionary areas (GEAs) in the strongest Manhattan markets, and builders in those areas requesting 421-a exemptions had to build affordable units either onsite or offsite. The commissioner also addressed the negotiable certificate program begun in the mid-1980s where the construction of offsite affordable units could generate 421-a certificates purchasable by market-rate developers within the GEA, allowing them to satisfy their 421-a affordable unit obligations. Commissioner Been testified the current state of 421-a permits exemption from property taxes on the increase of the assessed property value resulting from construction of a new rental, co-op, or condominium building, for a period of ten, fifteen, twenty, or twenty-five years which phase out towards the end and are contingent on the building’s location, financing, and affordability. The commissioner finished by arguing 421-a was valuable for creating affordable housing in “high-value, high-demand” neighborhoods and achieving income diversity in those areas, but readily admitted the program needed reform to better help achieve the goals of the Housing New York affordable housing plan. During questioning, Council members in attendance spoke on their experiences with the impacts that 421-a’s had in their districts. Council Member Ydanis Rodriguez stated twenty developments in his district currently receive 421-a exemption, yet they offer no units of affordable housing, and asked what could be done to fix the shortfall. Commissioner Been reiterated that the program was controlled by the state legislature, and agreed that loopholes in GEA and the certificate programs may need to be closed to correct what Council Member Rodriguez spoke of. Council Member Jumaane D. Williams, chair of the Housing and Buildings committee, questioned further on the certificate program, to which Commissioner Been testified it is possible that new construction could go up in a GEA and not provide any affordable units if they purchased the requisite 421-a certificates on the private market. The commissioner testified that HPD had “no idea” how many certificates remained out on the market, as the program was designed to be a free market program where certificates could be held or traded, with no involvement or tracking from HPD. Council Member Antonio Reynoso spoke about the mass displacement of middle-and lower-income residents in his district by the influx of luxury residential development receiving 421-a exemptions, stating over 14,000 Latino residents specifically have been displaced from Williamsburg in his district over the last twelve years, and that there is no need for 421-a at the present time. “421[-a] was made to assist in the development of housing in areas where there was a lack of development in the 1980s. But now, in this age and especially in Williamsburg, there is absolutely no need for 421-a in Williamsburg. People are developing at astonishing rates.” Commissioner Been responded that there is a concern that without 421-a, developers would build only condos and abandon rental buildings entirely as unprofitable. City Council, Public Hearing (Jan. 29, 2015).